FromSoftware, the studio behind some of the most popular RPGs in the gaming world, has finally revealed more information on their upcoming title: Sekiro: Shadows Die Twice. In an interview with Game Informer, the studio revealed that the main character in the series, The Wolf, is going to get some dialogues. Still don’t know what that means? IT MEANS THAT THE WOLF WILL FINALLY HOWL. Yasuhiro Kitao says that they want to try something new, something more compelling in this game. They want to make this game an emotional piece of drama, and thus, will have a fixed cast of characters. Of course, this is amazing news for the fandom, as they’ll have a LOT of ‘jinshis to write on, now. “One nice thing about basing the story around these characters is we get to play with the relationship between these characters, between [The Wolf] and the Young Lord, and how their relationship kind of evolves throughout the game,” Kitao says in his interview. This basically means that we will see a lot of Dishonored-inspired drama and perhaps some tragedies too? Kitao also reveals that more information on The Wolf will be revealed as you play the game and as you interact with more characters. The more you talk to other characters, the more you’ll understand the world of Sekiro (Classic Japanese RPGs move). There will be a lot of flashbacks and a lot of intertwined story lines to pluck, but most importantly: there will be a lot of present-era story to learn. Kitao warns though, that Sekiro: shadows die twice isn’t exactly a chatterbox: “He’ll say a few things here and there, but yeah, he won’t bore you to tears with constant monologues”. Gameinformer played through some of the game and they say that there will be items that will help the Owl in his journey to exact revenge against the Ashina Commander. Some of these items will provide buffs, some are like healing potions, and some provide special abilities like distracting enemies so you can run away from a location. I’m personally expecting Jutsu items too, like a Lightning Scroll that can be thrown towards an enemy and once activated, will send a lightning bolt on them. Of course, this is Miyazaki’s world. There will be a lot of weird stuff here and there. 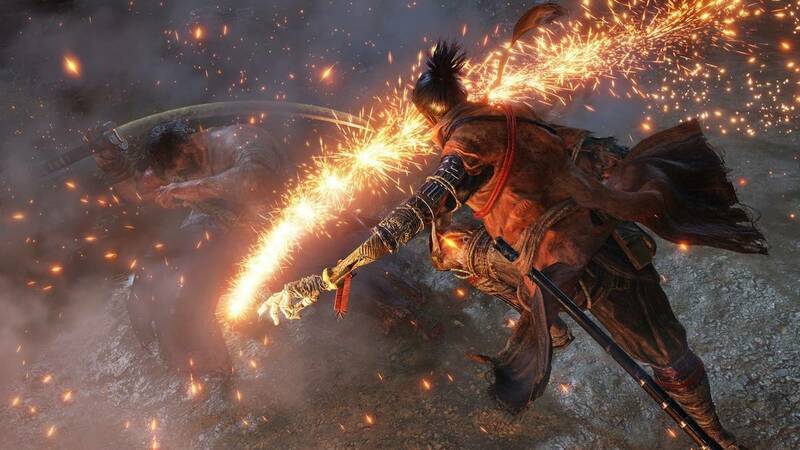 Sekiro: Shadows Die Twice will try to inherit a lot of gameplay mechanics from other games from FromSoftware like the ever-so-popular Dark Souls series and Bloodborne. Of course, we will have to see what the game has to hold, once it actually releases: March 22, 2019 (PC, Xbox One and PS4). Pre-order bonuses have yet to be revealed though. But as days go by, FromSoftwares should reveal what they have in store. Speaking of days gone by, Days Gone will be released on 26 April 2019. Definitely looking forward to that. You can check out the whole interview on Gameinformer. The developer really is trying to make the game stand out from Souls series. But since it’s From Software, we can always expect similarities.